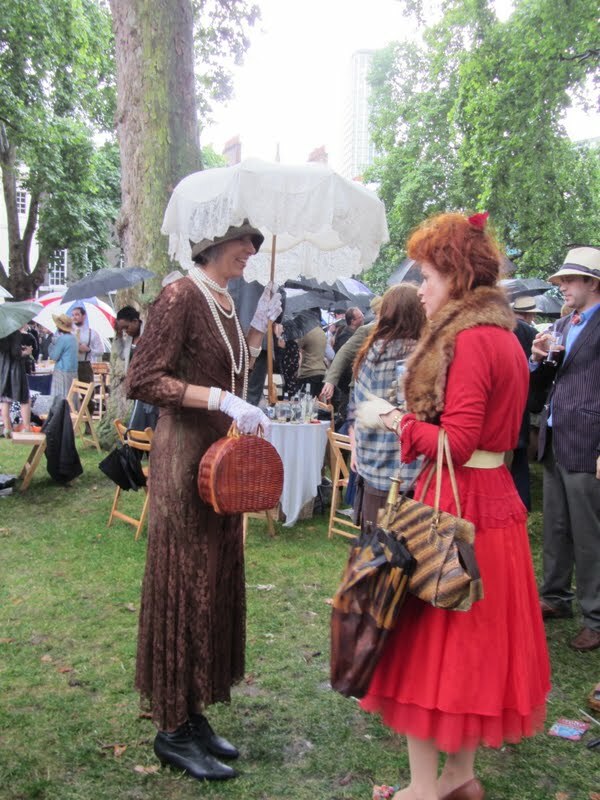 If like me, you're partial to anything vintage, then you'll love The Chap Olympiad. In fact, you'll proably love anything to do with The Chap full stop. The Chap is a magazine, or rather a journal, for gentlemen who embrace the lifestyle and attire of the 1930s & 1940s. Wearing bowler hats, colonial garb, monocles, waxed moustaches and of course plenty of tweed, they have impeccable manners, doff their hats to ladies and revel in chivalry. In the words of The Chap itself, "The Chap takes a wry look at the modern world through the steamed-up monocle of a more refined age, occasionally getting its sock suspenders into a twist at the unspeakable vulgarity of the twenty-first century." Every year, The Chap hosts The Chap Olympiad, a wonderfully eccentric sporting event, which takes place in a lovely Georgian square in the heart of Bloomsbury, and all the Chaps and of course, the Chapettes, gather for a day of fun and frivolity. 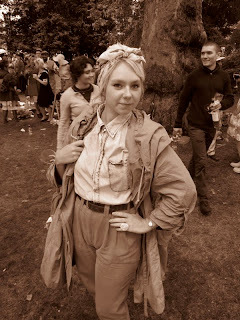 It is an absolute Tweed Fest with everyone dressed in vintage refinery, armed with Fortnum & Mason wicker picnic hampers and hip flasks of gin, as they find a picnic spot and settle in for the afternoon. 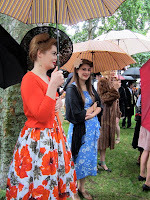 My friend Sarah and I attended this year's Olympiad and despite the torrential rainfall, we had an absolute ball, dashing amongst the colourful array of umbrellas, swooning at all the gallant chaps and admiring the pretty frocks and elegant hairstyles of the fellow chapettes, including several with hand-drawn seams on their 'stockings'. Full of such quirky elegance, this is a fabulous place for people watching! The games were officially opened by the ceremonial lighting of the pipe, using a special tobacco called 'Brown Study' (a new blend from The Chap). Fortunately The Chap's resident butler, Mr Bell, was on hand to protect the tobacco from getting too moist from the rain. Gustav Temple lit the pipe and passed it around the contestants. Let the games begin! Fuelled with lashings of Pimms and gin martinis, the crowd cheered on as the games got underway. How we chortled and guffawed as the contestants fought their way to victory during the various events. My favourites included 'Bicycle Jousting' where two contestants armed with brollies and briefcases, ride a bicycle and attempt to knock one another off. 'Shouting At Foreigners' where contestants must negotiate with an unhelpful 'foreign shop assistant' by ordering a specific item from his shop. Points are lost for ungentlemanly language and hitting the foreigner. And 'Moustache Wrestling' where two contestants must pluck a single hair from their opponent’s stiff upper lip ferret. Ouch! 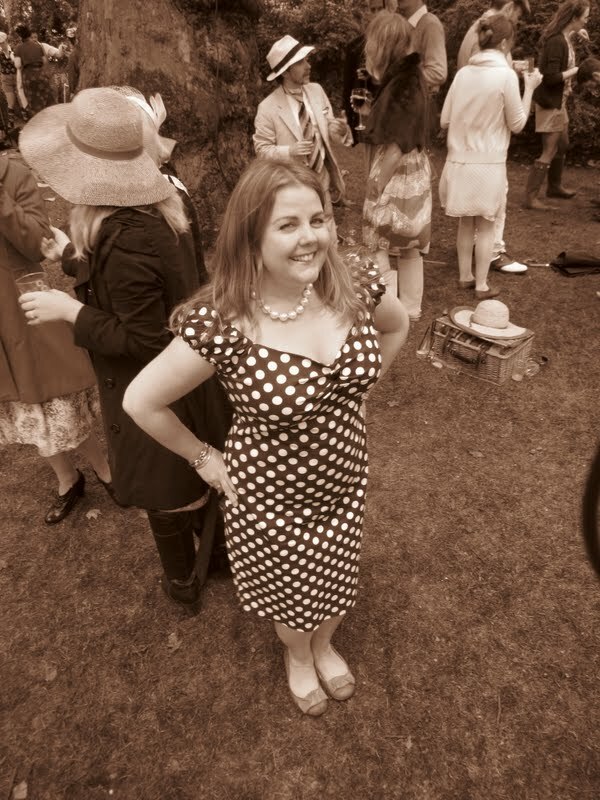 Whilst we took a rest from the madness and sipped our drinks, a dashing chap called 'Viv the Spiv' came over and introduced himself to us. What a character he was, wooing us with his charming wit and cockney banter. 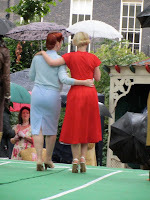 It was soon time to dispense with the brollies as the sun made a vague appearance just in time for the winners medal ceremony. This was followed by some really rather spiffing dancing as various folk all took to the dancefloor, swinging and jiving their partners' brogues off. 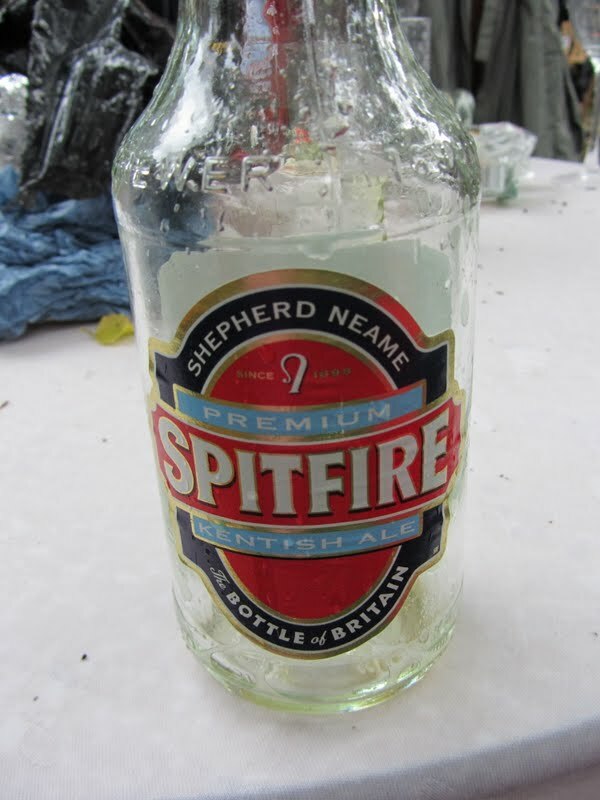 And there you have it, a tremendous afternoon of eccentric, vintage fun. If you don't manage to get tickets to London 2012 next year, then I reckon this is a much more civilised, exciting and memorable alternative. 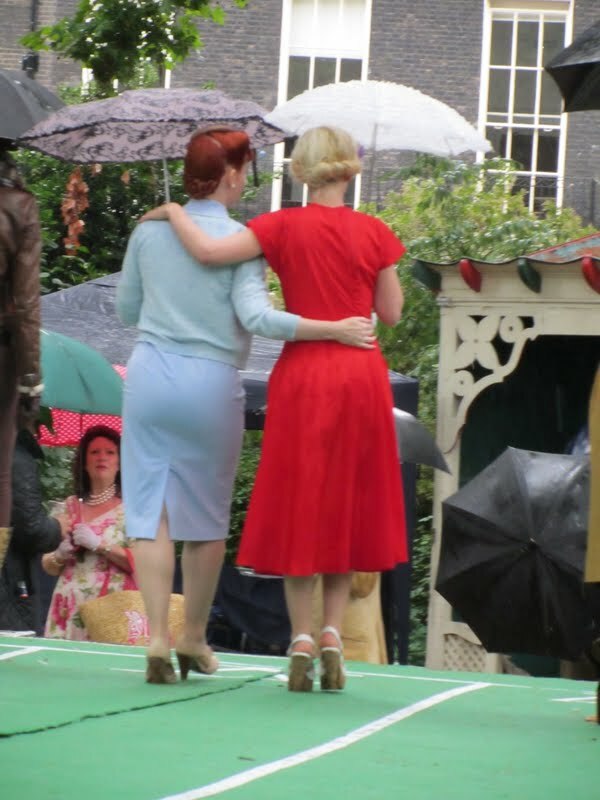 I'm definitely keen to go again and just hope the sun shines and they bring back 'Cucumber Sandwich Tossing'. Tally ho! 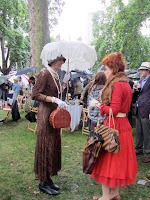 I'm very glad you enjoyed the Chap Olympiad, soggy tho' it was. Next year's will, I'm sure, be even better.